My Dad, Brett Heinicke, found Coach Earl because he wanted the best training available for me. My Dad knew I was born to be a QB as he saw talent, spirit, and the love of the game in me. For all the support my father gave me, I am grateful to him for the man I have become, I am truly blessed. Because my Dad wanted me to aspire for higher goals and be trained by experienced, professional, and trustworthy trainers that would help me reach my goals he signed me up for The Best. Coach Earl Williams is a significant part of my QB success because of his expertise training, strict attention to how to compete in a highly competitive game, he believed in me, and pushed me. Coach Earl always expected the best from me as he does with all his athletes. Because of Coach Earl, the GSP Trainers, and my high school Head Football Coach, Kevin Reach, and the football staff, I had many more college scholarship offers than I had anticipated. I still come to GSP on my college breaks and off-season and train with the best GSP Trainers. I will continue to train and strive for higher goals. Train Like a Champion! Thank you GSP! Coach Earl Williams and the Georgia Sports Performance family have been instrumental in Andrew’s development into a well grounded young man & FBS( Div. 1A) football player. 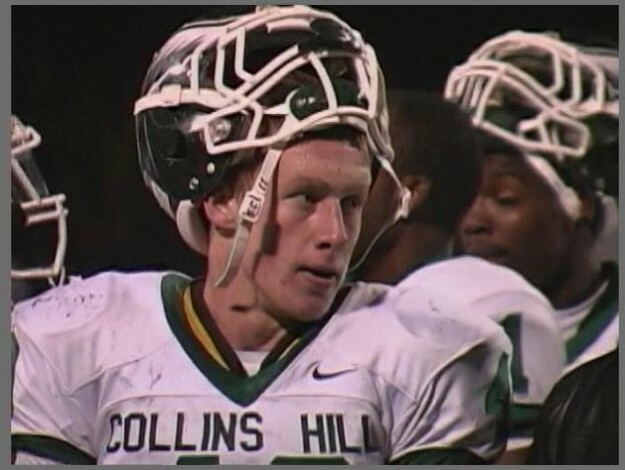 Andrew, a 2012 Collins Hill HS Graduate will be playing Defensive End at Old Dominion University in Norfolk, VA., on a full football scholarship. GSP’s extensive experience in developing quality athletes at every level of competitiveness is just part of their recipe for success. The facilities are always being improved and the training methods are sports specific and tailored for the individual athlete. This was by far the best investment we could have made for Andrew’s athletic future. 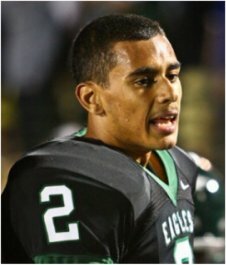 Andrew will hit the field in 2012 with confidence that he has had the BEST training available and a leg up on most incoming college freshman. Thanks for everything Coach Earl!! 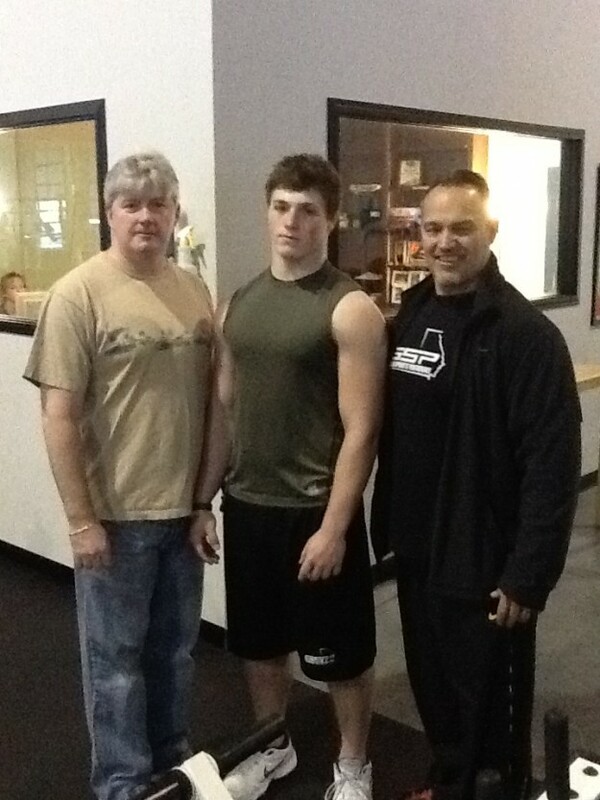 Our son, Nick has trained with Coach Earl Williams & Georgia Sports Performance since he was a sophomore in high school. We were given Coach Earl’s name and GSP when we were searching for a personal trainer and QB coach, and Coach Earl came highly recommended in his field and is considered the best QB coach in the state of Georgia. Nick was setup on a nutrition diet plan specifically designed for him, and a vigorous training schedule for his position training. The training consisted of emphasis on footwork, speed, agility, and Sunday QB and skill position training. The training Nick received by Coach Earl and the GSP trainers are second to none, and moved Nick to the next level. 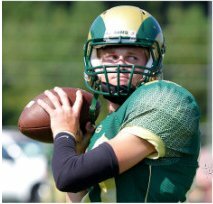 Nick, Grayson QB, lead his team to a Class 5A state championship and a 15-0 record last fall. Our son began getting more college offers on the SEC and Division 1 football levels. Nick will continue his off season training with Coach Earl and GSP, as we are all very pleased with the results. GSP and Coach Earl Williams continue to be an intricate part of the training of our Collins Hill football athletes. This season alone we have noticed our players are much stronger, faster, and excel on every level. The position training is unique to each athlete, and GSP exceeds our expectation in the position training for our football players. 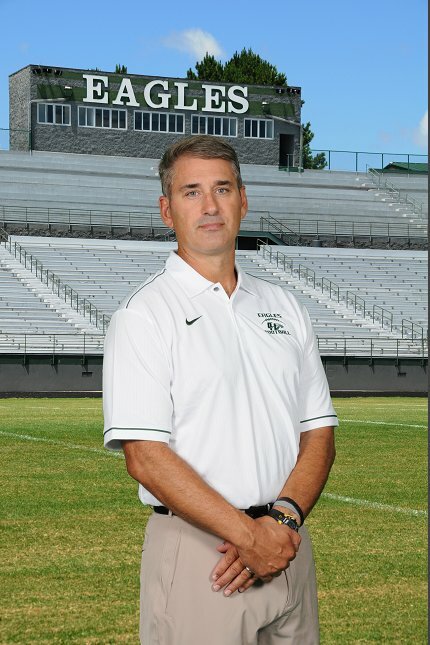 Coach Earl and GSP have been training the Collins Hill football players for over 4 years now, and in the last 2 years have become a very important key to the development of a well- rounded athlete. We are impressed with the quality training GSP provides to the student athletes. 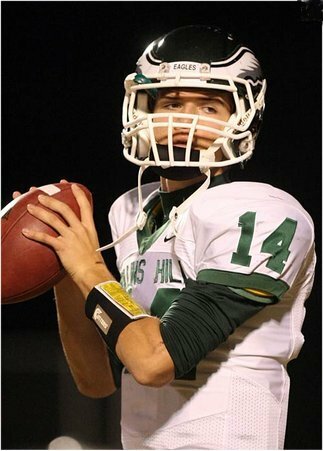 A majority of all Collins Hill football scholarship offers over the past 3 years have greatly increased due to the exceptional training program implemented by the Collins Hill football coaches and the training our student athletes receive from Georgia Sports Performance. Coach Earl Williams at “GSP”(Georgia Sports Performance) in Suwanee, GA. has been my trainer for approximately three years. As a 49 year old female, full time business owner, active mother & wife, I do more phsically and mentally than I ever thought I could at this age! I am healthier, fit, and have so much more energy. Coach Earl works with kids and adults and is second to none in getting optimum performance from all of his clients/athletes. He has great relationships with everyone he works with, cares about each athlete as an individual, and inspires all of us to do more than we think we can. He surrounds himself with other good trainers and creates a supportive atmosphere that allows people to pursue and feel good about his/her personal best. Coach Earl Williams and his staff is worth talking to and checking out the GSP facility!!! “GSP sets you up for Greatness”, these are the words I live by every time I go to GSP and train. I have been training with Coach Earl Williams before GSP was opened. I met him through Taylor Heinicke over 4 years ago, and Coach Earl made a promise to me that if I worked hard, trained hard, played football with heart and skill that he would do everything in his power to help me get scholarship offers. He kept that promise, and I listen to him and his trainers. Coach Earl believed in me, and told me I was a smart, talented, and skilled athlete and if I trained with GSP I would achieve greatness at the next level. I received more D1 college scholarship offers than I ever anticipated which gave me choices. I chose FIU and played college football as a Freshman, still talking to Coach Earl & Dante on a regular basis getting advice and training tips, and then training at GSP in the off season. 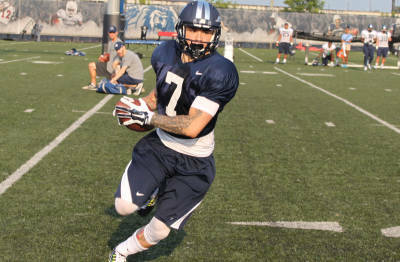 I will be attending ODU in the fall 2013, and will strive to achieve the next level of football. I will always be thankful to Coach Earl, GSP, and the training staff for their expert training programs, skill training, and ongoing support of reminding me that “I can achieve anything and be a success”. Chris has been associated with Coach Earl Williams for five years and with GSP since it was established. The results that we have seen in our son have been incredible. Not only have we seen significant physical results, but also his confidence and the relationship with his teammates got stronger and stronger each year. Chris was accepted to the University of Georgia, he continues to workout and he plays Intramural football and sports, and will tryout as a walk-on for the upcoming fall season for the UGA football team. We are very excited to have our son, Robert, a Collins Hill rising high school freshman that plays Lacrosse and Football and is just starting to work out at GSP. Coach Earl and the GSP staff do a fantastic job – evident from the results that we have seen both on and off of the playing field. My son, Christopher has been attending GSP since the end of his 8th grade football season. We were looking for a sports gym that would help him take his football skills to the next level. Christopher was already a good size but needed to work on strength and speed to be able to play in High School. I reached out to his Gwinnett Football League coach, Erik Richards, who recommended Coach Earl Williams. From the first time meeting with Coach Earl and seeing the facility, Chris and I knew we were at the right place. After a few months of training, Christopher improved his speed, strength, and agility. He improved so well his freshman year that he started at Defensive End on the Varsity team in the Duluth High School Spring Game. After a solid freshman year of football, Coach Earl ramped up his training to get him ready for his sophomore year. Christopher was a starter all year on the JV team at Defensive End and was able to step into several varsity games when needed. Coach Earl is currently working towards getting Christopher ready for his junior year where he will be a starter on the varsity team. Christopher is also an alumnus of Football University. He has attended two years of FBU Top Gun Camp. With Coach Earl getting him ready for each camp, Christopher has been able to take on Offensive lineman twice his size and make the big plays! We thank Coach Earl and his son, Dante Williams for all the hard work and the training they have invested in my son. Each and every week they make my son a bigger, stronger, and better athlete that will enable him to perform at the next level.